On the upside, while taking on this task I didn't realize I have to include a few fighting games. That's neat, but it's tiresome work, mainly since I've only played those on occasion. It's hard to enumerate games like these and not be pointed to the rules I made up. True, you can pick from a roaster of characters to play through the story from their perspective and some games also have choices and ending variations based on the character you play as, so that should put a lid on that debate, but the hard bit is about me not being familiar with the games or their stories. That being said, I hope I'm not wrong and would gladly correct my mistakes with an appropriate apology annotation. Please don't refrain from pointing out my mistakes if you notice any and, again, tell me if I missed any at all. The “missed games” list will be up soon. Meanwhile take a look at my previous two lists here: part 1 and part 2. 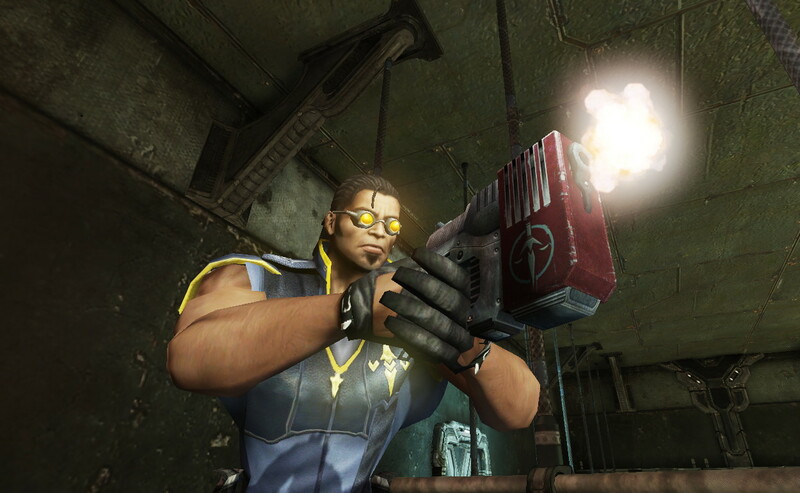 With Alex Mercer's story more or less concluded, the story in the sequel is focused on James Heller (voiced by Cornell Womack), smartly intertwined with events from the first game. Having been infected with the Blacklight virus in the same way as (and by) Alex Mercer after finding out that his family was killed, James Heller's entire motivation is to get revenge. He uses his newfound powers and his soldier skills to hunt down and stop Mercer and the virus at any cost. Just like Mercer before him, Heller is definitely an anti-hero than the generic savior, destroying everything in his path to get to his goal, including innocent civilians and allies, giving the player a good justification to just run rampant and have fun. Heller's angry personality and powerful combat makes him one of the coolest characters in gaming, but the games was a commercial flop and developer Radical Entertainment ended in financial trouble from it. It's too bad, because this is definitely a game I gladly recommend. Anyone remember this game? You do. This is the cyberpunk game set in a dystopian Paris in which you play as Nilin Cartier-Wells (voice and motion capture by Kezia Burrows), whose memories have been wiped and she's on a path to recover them and also save the world from big bad company Memorize, with the aid of a small group of rebels aptly named Errorists (yeah, very clever, guys!). As the story unfolds, we are treated to a whirlwind of twists and turns, while also fighting against powerful bosses and smart enemies. 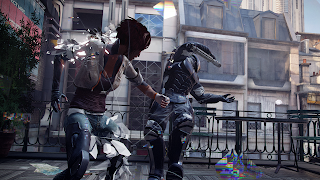 Two main features made the game stand out: 1, the remix scenarios in which Nilin attempts to alter the memories of her enemies in order to influence their decisions, and 2, the Combo Lab, in which you can build your own combo styles accordingly to suit your gameplay style or to make certain boss battles more manageable. While Remember Me is one of my personal guilty pleasures, Nilin's personality, just like the story, is far from memorable, ironically, but she's fun to play as. 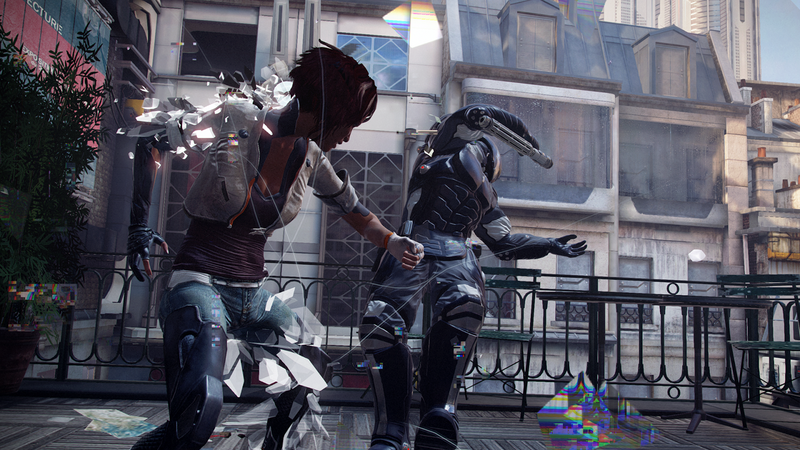 The gameplay can range from frantically fun, even when you have to wrestle the camera, to outright frustrating. To me, however, the electronic glitch soundtrack is the best part of the game and I'd play the game again any time just for that. 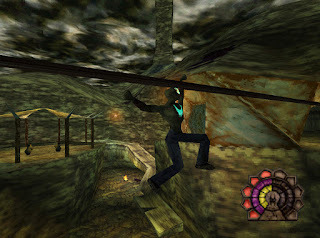 I have never played Shadow Man, but I hear it's a very iconic title of the Nintendo 64 and PlayStation 1 era in particular. Judging by the screenshots, it's obvious that this game has not aged well at all, but then Tomb Raider: The Last Revelation hasn't prettied up either. Best looking 1999 game is SoulCalibur on Dreamcast, as a quick fun fact. The titular Shadow Man is Michael LeRoi (played by British voice actor Redd Pepper) who reluctantly becomes a voodoo warrior who must protect the world of the living (known as Liveside) from threats crossing over from Deadside. While I don't know much about his personality, what I do know is that players take charge of Michael from a third person perspective in the fight with evil entities and that apparently he's haunted by the death of his young brother. It sounds like a fun adventure that I'd love to dive in someday and hopefully Michael is as fun a character as he seems. The sequel to SiN clears up on Colonel John R. ("Rusty") Blade's race as he's more clearly rendered in the Source Engine. So, I don't know much about the SiN games other than that they're shooters and you shoot enemies who pop on your screen, but from what I heard there's a good gameplay behind the generic mechanic and mediocre story. Don't know much about Rusty either, but the voice actor brings a lot of personality and charisma to an otherwise bland action hero. 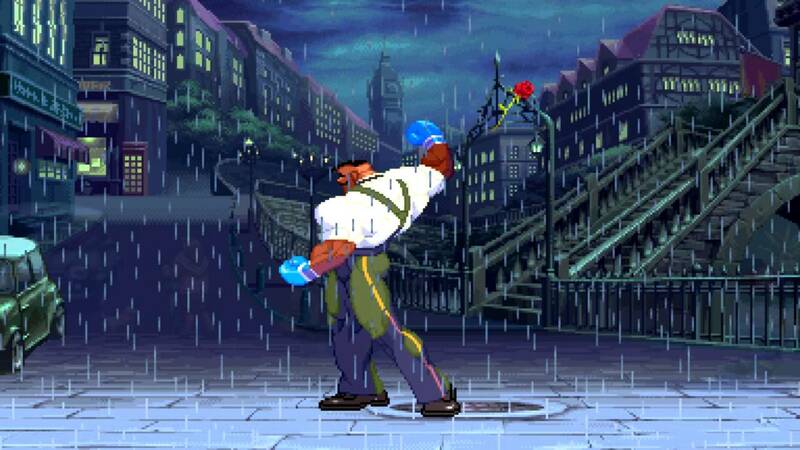 It's a pain to browse through a large roaster of playable characters in fighting games. 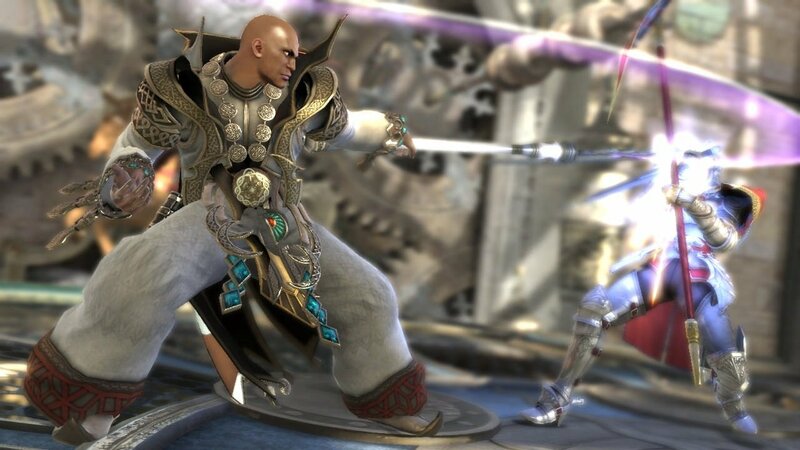 If I missed something from the previous Soul Calibur games, I apologize. 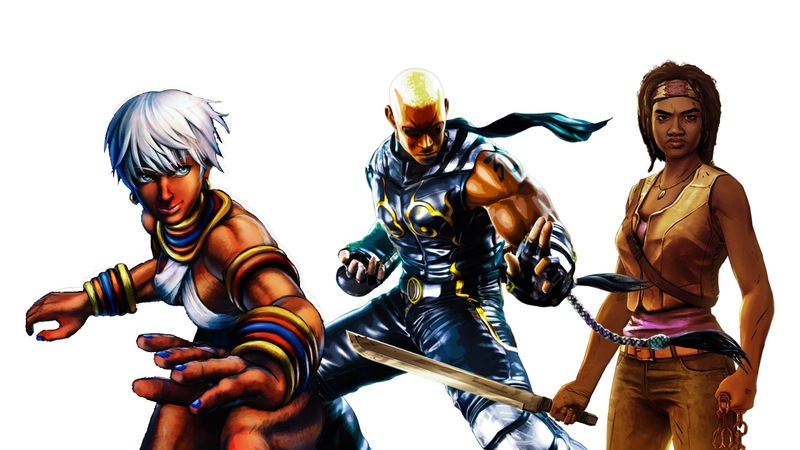 The first black playable character I could find in this series is Zasalamel (English voice dub by Keith Silverstein), which was introduced in the third game (or fourth, if you include Soul Edge). The thing about all these fighting games is that the story campaign can usually be played by either a custom made character or a list of playable or unlockable ones. Soul Calibur is another series of games I haven't played. 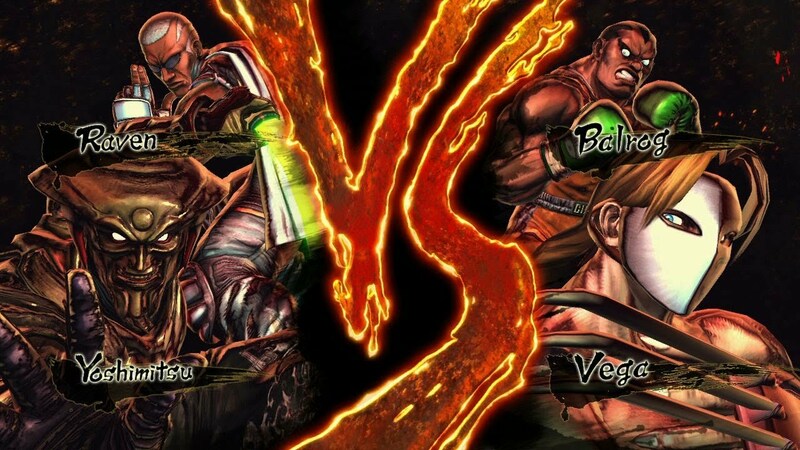 There are two single player campaigns in Soul Calibur III: Chronicle of the Sword, a separate storyline from the main Soul series in which players create a protagonist through the Create-A-Soul feature and goes through a series of RPG-style battles, and Tales of Souls, the main story campaign that continues where the previous installment left it. So as you can see, the Soul series don't shy from letting players play as the bad guy now and then, but I figure Zasalamel is the kind of character whose evil actions can be his misguided intentions. That is what makes an interesting character. 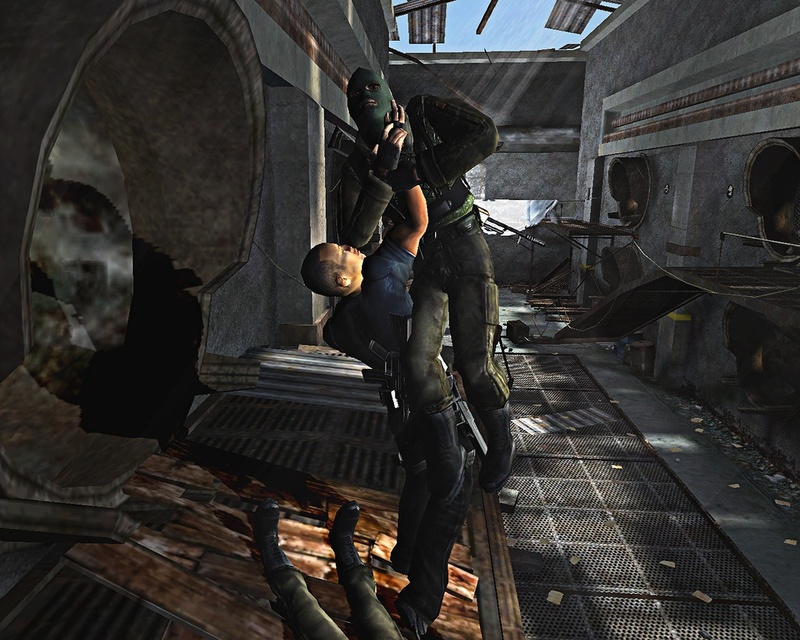 The sequel to the acclaimed SpyHunter was supposed to be an ambitious project and a tie-in to a movie that was ultimately canceled. The main character is a super-spy badass driving the most awesome car in any video game. His name? Alex Decker, personified by Dwayne “The Rock” Johnson himself. I know what you might be thinking, but I made my research and The Rock is half black, so he definitely counts. Being the first Spy Hunter game to feature gameplay beyond driving a car and shooting other vehicles and helicopters with rockets and turrets, we take charge of Alex Decker from a third-person perspective and shoot up enemies, throw them around like rag dolls and save the world like some kind of James Bond on steroids... Of course, Decker maintains The Rock's fun personality and is just a blast to hear him crack one liners. If you're up for some braindead action, this is definitely the game to play. I don't know if it still holds up today, but I do remember it being a great game back in the day. 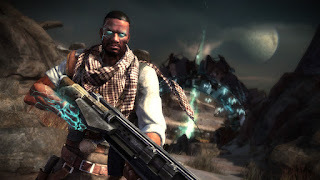 As the spiritual successor to online-only Warhawk, also a PS3 exclusive, Starhawk continues the flying mechs gameplay, but adds a single player story mode. The most noteworthy change from Warhawk is that the game takes the action to space and ups the action with a base building system on the fly, giving the gameplay a real time strategy element alongside the third person shooting. The main character of the story is Emmett Graves (English voice dub by Khary Payton), a Rifter on a distant colonized planet. Rifters are miners who... mine for Rifts. Whatever. Emmett and his brother, Logan, who sounds like a cooler guy, get exposed to the Rift Energy and while Emmett is saved by his good friend Cutter, his brother is not so lucky and turns into an Outcast. Now, Outcasts are a bunch of pissed-off mutants upset for being cast out all the time and they constantly seek inclusion from the colonies... by violence if need be. So Emmett and Cutter will have none of that. Emmett is a great guy to play as, but as a character he's just a generic gruff bloke and the story is kinda boring, but the gameplay is great and the game fortunately shines better in multiplayer. I honestly didn't know the Street Fighter games had story campaigns, but they do and they do it better than other fighting games. Every character you pick has their own story and progress, which makes these games highly replayable. Birdie is a Brit punk-rocker with an attitude who seeks to join the ranks of M. Bison's organization, the Shadaloo, by proving he can be a match against any opponent. 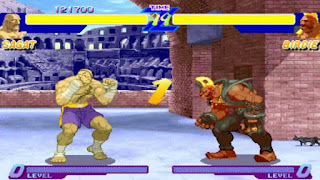 While this is not the first game he's been on and having gone through numerous changes (his first appearance in Street Fighter he was caucasian), Street Fighter Alpha is the first game to let players choose him as protagonist. 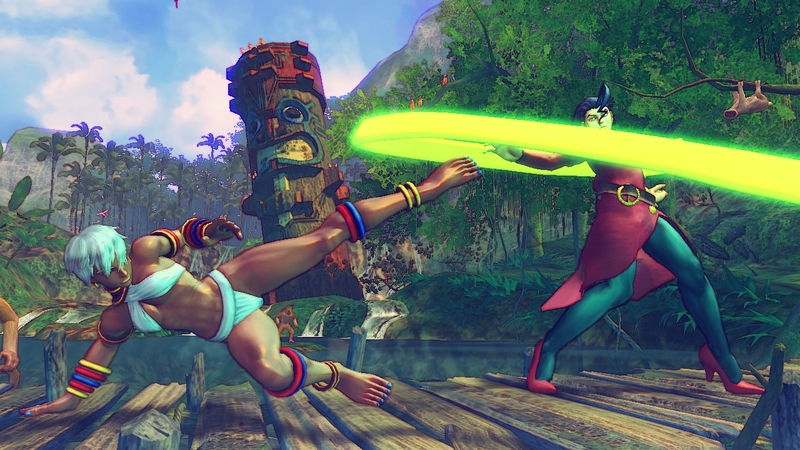 Birdie returns in the sequel to Street Fighter Alpha. Again, he seeks to gain membership in the Shadaloo and finally manages to achieve it, if the player can beat M. Bison for a second time. Birdie returns to the second sequel to Street Fighter Alpha. Now a full member of the Shadaloo, Birdie has bigger plans to rebel against M. Bison and take over the organization. During this game, he jokes about the inconsistency of his race by saying that he “looked pale because [he] was sick”. Elena also makes a grand comeback with one of the most popular stages in Street Fighter IV, or so I hear. Balrog returns to the story campaign of Street Fighter V, which takes place between Street Fighter III and IV. 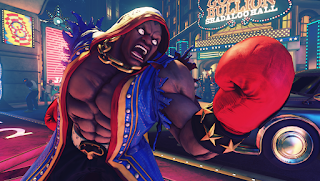 The story is basically the same: stop M. Bison and his evil organization from doing evil stuff, I dunno... Alongside Balrog, you can also play as Birdie again since the Alpha series who has since gained a lot of weight and has “special moves that involve eating and throwing food at his opponents”. Balrog meets Tekken's Raven, an obvious inspiration drawn from Wesley Snipe's portrayal of Blade, except Raven has his hair died all white, makes him edgier... and copyright-safe. Somehow, the Street Fighter and Tekken worlds clash kinda in the same way Capcom and DC do in their own silly common game, the difference is that this mash-up is kinda good actually, having receive very favorable reviews all around. Never played the game, but heard good things about it. From what I've seen, it's very colorful, has a serious tone and a thoughtful story, while the afro-sporting protagonist frequently goes on deep narrations. Undoubtedly, this is the game that catapulted Telltale to the forefront of adventure games. 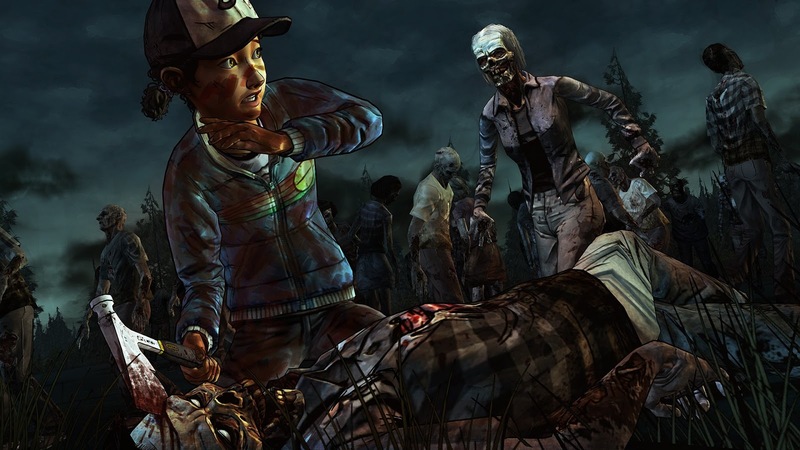 The first season of Telltale's take on The Walking Dead won numerous Game of the Year awards and deservedly so. 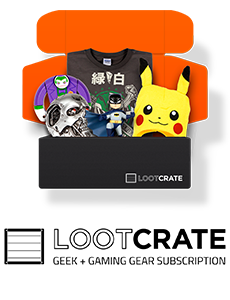 They created two of gaming's most lovable characters, Lee and Clem. Lee Everett (voiced by Dave Fennoy) is a black man from Atlanta on his way to the prison for a murder he committed in a fit of fury. Right from the start, we're dropped into the story playing as a deeply flawed character and it's up to us to determine his future actions. Not long into the game, Lee meets Clementine. Together they go on a journey of to find her parents, but the journey is a perilous one and this is no shooty zombies game, this game tries to make the players feel like it's a real and sad fight for survival, while also caring for the characters you meet. At the end of the road is inevitable tragedy. Also, worth mentioning is a special one-episode DLC for The Walking Dead called 400 Days. Set some time after the first season's five episodes and before the second one, the story focuses on a few new characters trying to survive under the shelter of a truck stop, but paranoia brings out the worst out of them or those around them. One of these characters is Russell, a young man who left his group because he couldn't stand the violence and joins the new cast only to discover there's nothing left but violence in this world. Choices made in 400 Days will have a small number of ramifications in Season Two. 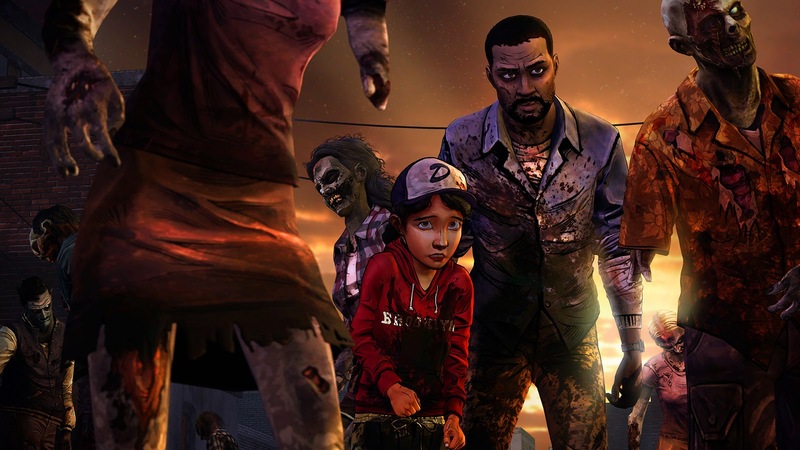 The second season of Telltale's The Walking Dead is set eight months after Clementine parts ways with Lee. Alone and learning to survive on her own, it is up to the player to guide her through the new adventure and to heed of Lee's last advice or not to. Clementine (voiced by Melissa Hutchison) takes front seat this season. It shows her becoming stronger and having to make much more difficult decisions than we could've expected for a small child in a video game, in turn making her distrustful and brash with others. Clem's arc from a scared little girl to a loner and a apt survivor makes one of the best transitions in gaming history. Michonne (voiced by Samira Wiley) is one of the most interesting and memorable characters from The Walking Dead TV series and comic books. She deserved her own game set in the world of zombie apocalypse where humans are the main focus and their struggle to survive. She's also the most mysterious of them all. This might have been the opportunity to dive into her past more, to show us who she was before the crazy started and how she became the loner we've come to know. However, Telltale decided to show us bits of pieces of what we mostly already knew. During the first days of the outbreak, tragedy struck her family, the same tragedy that turns dead people into monsters. 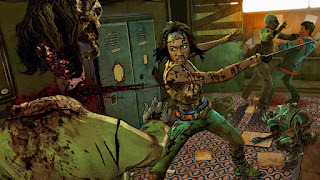 The developers kept that awful traumatic aspect about her in this game, a dark and violent sadness that makes her the perfect zombie killer. This is the story of Marcus Reed (voiced by Avery Waddell), a former gangster turned cop. Even as a detective, he's using his power of authority to revenge the death of his father, a major New York City crime boss. It sets up Marcus as the guy who takes his job to the limits and makes use of his gangster past to take down the largest cartels ruling over the City. 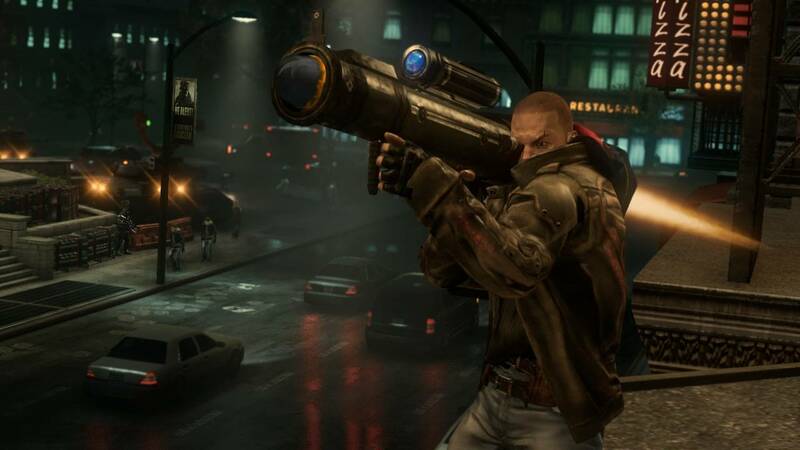 With a supporting cast of actors like Laurence Fishburne, Christopher Walken and Mickey Rourke, the game was built on confidence and with a very ambitious scope to rival the Grand Theft Auto titles of its time (2005). The game featured one of the largest open world cities in a game, recreating the borough of Manhattan almost faithfully to its real life size and with most major landmarks. The game was dragged down by poor controls, frustrating shooting and many technical issues. This is the sequel to the fairly well received True Crime: Streets of LA, a game that was much better received. Unfortunately, True Crime: New York City didn't stand the test for a following until Square Enix bought the IP and released a spiritual sequel we all know as Sleeping Dogs. I don't know much about Urban Chaos other than that it's a game made by Mucky Foot Productions, the developers of Blade II and Startopia and that's all of their games. It was published by Eidos and a sequel was planned but canceled shortly after they released a promising trailer and also shutting their doors. They eventually uploaded the full source code for the game on the internet for preservation. 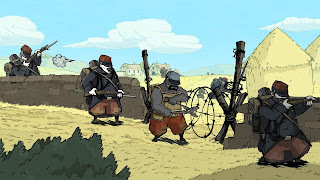 Also going by its French name, Soldats inconnus : Mémoires de la Grande Guerre was made back in Ubisoft's “indie phase” with their in-house UbiArt Framework. They seem to have abandoned this model after 2015 and focused on larger projects. While I can only assume, these titles, including the new 2D Rayman games, Child of Light and a Gravity Falls game for the Nintendo 3DS, have not been as successful as they expected. But I am hoping for a strong return, because a powerful gem like Valiant Hearts proves how easy we take games for granted. Valiant Hearts: The Great War takes place during the first World War and is the recollection of four intersecting stories. Karl is drafted into war by the Germans and separated by his French wife and child. Emile, a French soldier and Karl's father-in-law, is captured by the Germans and forced to become their cook. Anna is a Belgian veterinarian who uses her medical skills to save lives on the battlefield as a nurse. Freddie is an African-American who volunteers to join the French army after his wife is killed during a bomb raid in Paris coordinated by the antagonist of the game, Baron Von Dorf, which you will face at various times in the game. All characters have intense emotional traits about them and their stories and that's what elevates the game beyond the point-and-click gameplay. It's a beautiful adventure game that I can't recommend enough! Unpopular opinion: I liked the first game more than its sequel. However, Watch_Dogs 2 did a few things right, improved a lot of quirks from the first game and did away with some features, not all bad. Aiden Pierce was a good character marked by tragedy, but that's the same boring stuff you can say about many other games, and his brooding personality was only outstanding for the subtle noire tone the game had. 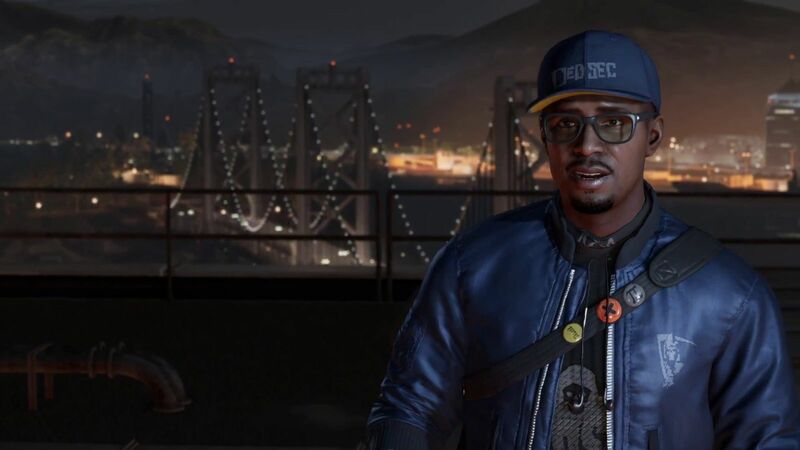 Watch_Dogs 2 takes place in San Francisco and puts us in the shoes of a hacker who goes by the moniker of Retro in his flashy group of underground hackers, Dedsec. He's Marcus Holloway (voiced by Ruffin Prentiss), a hipster specialized in hand to hand combat and cybernetic warfare. While his personality is much more charismatic and in tone with the upbeat and not-so-serious tone of the game, it can get a little obnoxious after a while. Marcus has his moments and the story does pick up towards the end, but I felt too disconnected from the characters and what was happening to them to really care about what was going on. The combat was slightly improved, there are ways to incapacitate the enemies if you choose to play that way, but there's no incentive or downside to either gameplay style, so you only have your own moral compass holding you back from enjoying the game. I didn't really care much for the colorful atmosphere and cringey jokes, but that's a silly nitpick for a game that's actually pretty good and kind of underrated.